I've been extremely fortunate to have had many wonderful birthdays. I have always been surrounded by friends, family, or both. Birthday parties didn't have to be expensive to be fun — my clever parents taught me how to find wonderful and creative ways to celebrate. I'll never forget racing around the house to find the clue in the treasure hunt, or the spy-themed party where my dad booby-trapped a room with red thread "lasers." Yet none of these memories needed presents to be fun. Don't get me wrong - I've loved and cherished every birthday gift, every kind wish and considerate phone call. But there comes a time when you realize how fortunate you truly are compared to others in the world. And the idea of asking for birthday presents just doesn't seem right, when there are so many worthy causes that need our help. Inspired by the "Pledge My Birthday" campaign at Charity: Water, I've decided to pledge my birthday to the Red Panda Network. This means that, instead of birthday gifts, I'm asking anyone who wishes to give me a gift to instead help me donate to the Red Panda Network. Red pandas are in jeopardy, and it breaks my heart to imagine a day when our children will know them as relics of the past. Why did I choose the Red Panda Network? 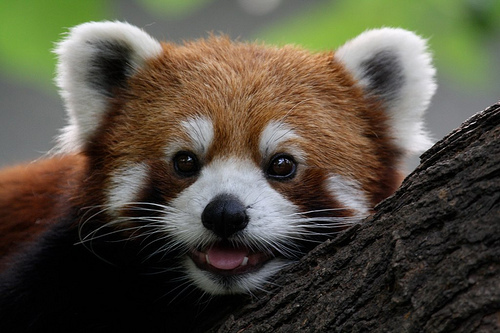 Red Pandas are my favorite animals. These lovable, furry little critters bear many resemblences to my beloved adopted cat. Although their native habitat is far away in Nepal, it only takes a video or two to fall in love with the playful red panda. Find out more about red pandas here. To raise awareness for red pandas. Last year, I became a member of the Red Panda Network and received a lovely fitted bamboo shirt. Whenever I wear it, people ask me about it and many are not aware that such an animal exists. I find it impossible not to think of red pandas each day, as the browser Firefox is named after them. The Red Panda Network could really use our support. While well-known charities such as WWF and Charity: Water also do great work, the Red Panda Network is a smaller operation. This means that a very large percentage of our pledge goes straight to helping the red pandas. While larger charities may focus on a variety of projects around the world, I know that my money is going to make a difference for my favorite animal. Donations go towards a long-term solution. Helping the red pandas will also help protect the environment and empower those in local communities. The Red Panda Network works to protect the Red Panda's natural habitat, which is a home that is shared with other endangered species, such as the clouded leopard. Many Nepalese people also depend on the Red Panda's habitat for survival, so the organization is working to make conservation benefit the local communities. If you'd like to learn more, click here to visit the Red Panda Network's website. I hope you will fall in love with these adorable creatures as I have, and perhaps you too will be inspired to help. I've even included a link below to get you started. If you do choose to help, feel free to leave a comment to inspire others! If not, I encourage you to think about your next birthday, and if there's a charity that might be worthy of your pledge. Thank you for helping promote and preserve these wonderful animals! How inspiring to make a birthday pledge. What if we all made one? Just think of all of the things we could accomplish! I loved your favorite Red Panda video. I did not realize Firefox was named after this fun animal! Thank you for your kind words! 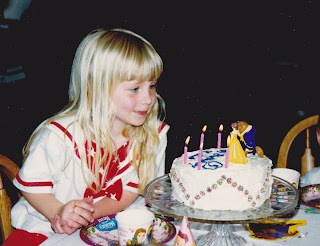 I'm so excited about this special birthday pledge and really appreciate your support. OMG! Love the photo of the precious 5 year old... Happy Birthday! -- Donation sent in your honor. Thanks for being you. What a wonderful celebration, we wish you all the best ! 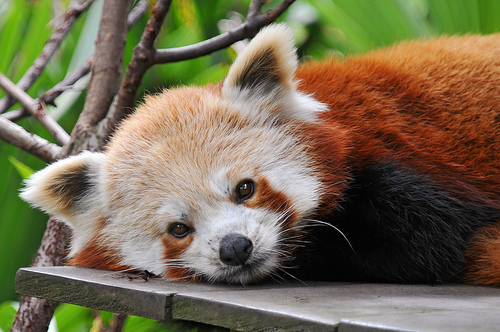 Thanks so much for choosing Red Panda Network for your birthday fundraiser! You are right, we are focused squarely on the conservation of these cheerful yet so threatened animals and their habitat in the wild. Over the next days we'll review and tally up - yet no matter the amount, the biggest gift to us all is the wave of support and kindness you created. Thank you so much, Dirk! It was my pleasure. I really enjoyed spreading awareness and finding a special way to celebrate while sharing with others.